Duracell 100 AA & 8 AAA Batteries $35.19 + FREE Shipping! You are here: Home / Great Deals / Amazon Deals / Duracell 100 AA & 8 AAA Batteries $35.19 + FREE Shipping! Head to Amazon to get this steal of a deal: Duracell 100 AA & 8 AAA Batteries $35.19 + FREE Shipping! Just $0.33 per battery! 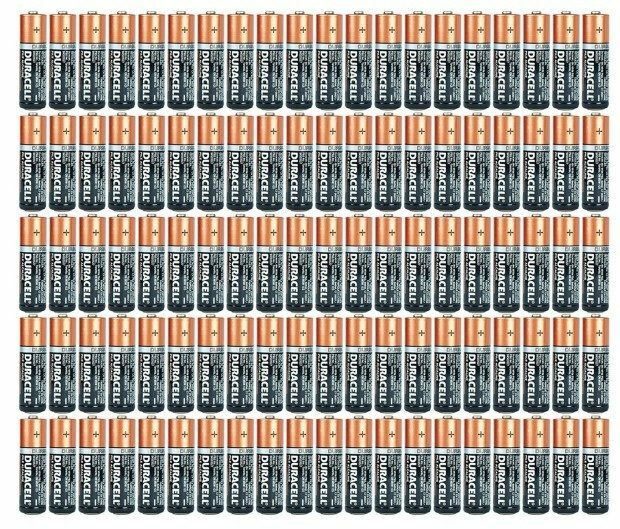 With the holidays on the horizon you know you need to stockpile batteries! Be prepared and shop ahead. Too many? Split this deal with a friend!